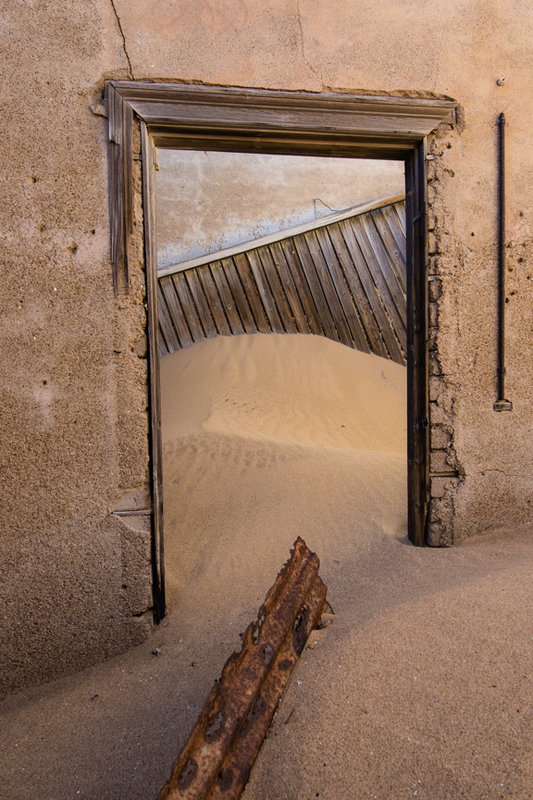 ← Welcome to the Dunes…and not the one in Las Vegas! 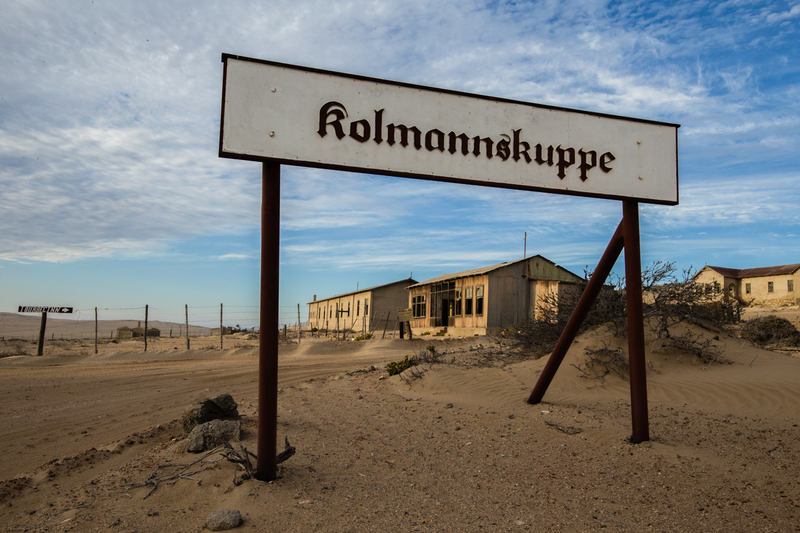 I say Kolmanskop….they said Kolmannskuppe. This used to be a diamond mining community. It was started in the 1800’s and went through a variety of owners. In it’s heyday it was Kolmannskuppe, German I’m guessing. 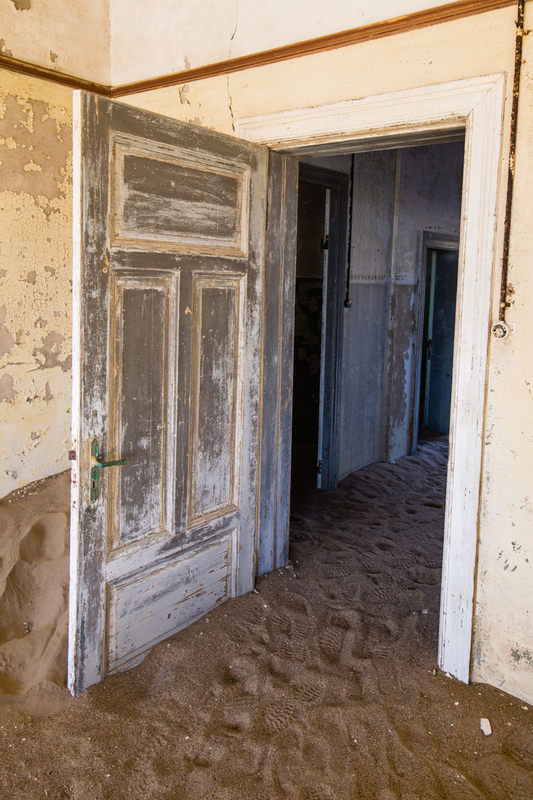 Now it’s known as Kolmanskop. Diamonds are one of Namibia’s best friends. They still mine them at several places in Namibia including one right next door. Unfortunately, they’re a little uptight about photography, so no pictures. If you try, they come and take your pinky ring away from you. After WWI, the diamond market hit a slump and another more rich vein was found elsewhere. 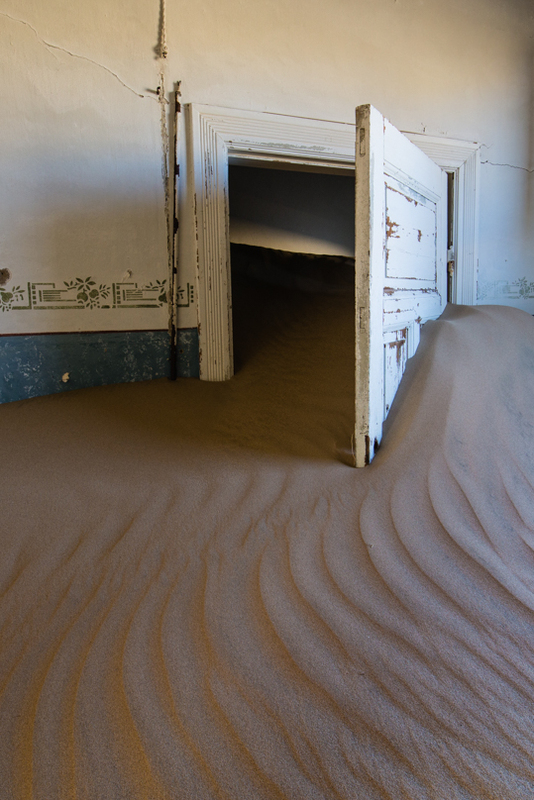 Kolmanskop began it’s decline and by 1956 it was deserted and turned over t0 the desert and the blowing sand. 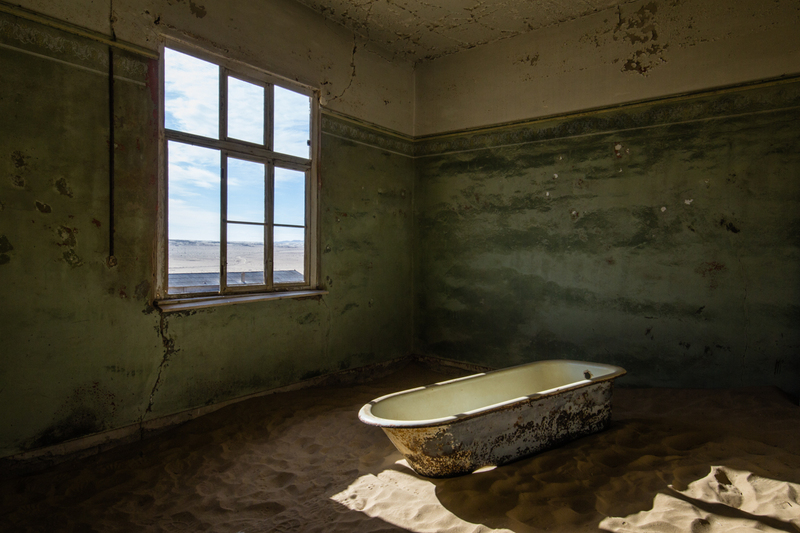 Kolmanskop became a ghost town. 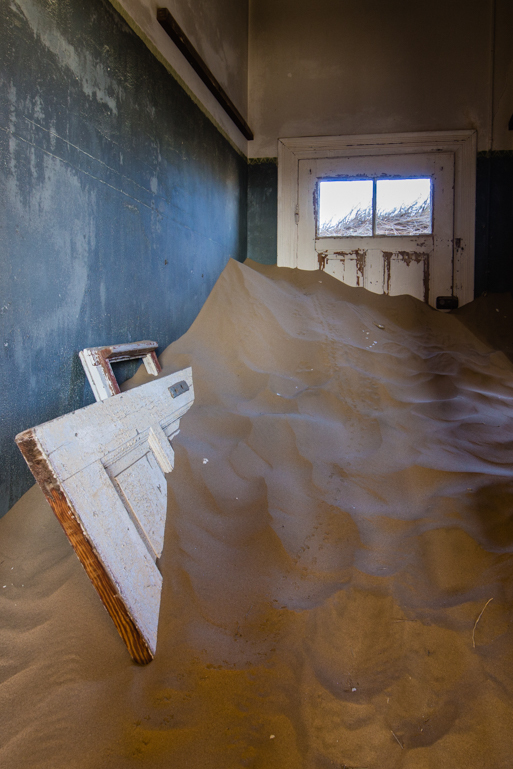 Many of the buildings here are slowly filling with sand. I was here at sunrise this morning and the wind was a mild breeze but as the morning wore on, the wind picked up and by 1pm, it’s was hard to stand up and I was concerned that it was going to take the paint off my vehicle. Here are a few images I made today. 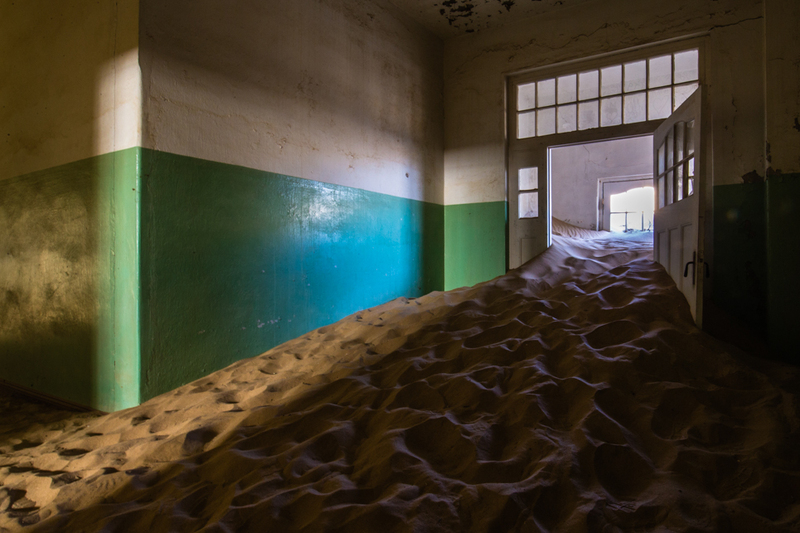 You can see by the footprints in the sand that I’m not the only one who’s come here. Normally, there are two tours a day and the area is open from 8am – 1pm. 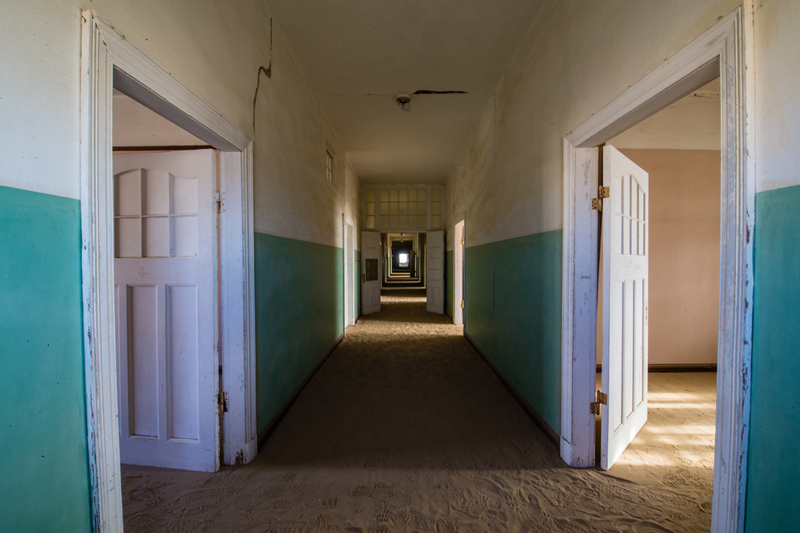 However, one can go to a local agency and get a photographer’s pass that permits you to be here from sunrise to sunset for N$230. That’s about US$17.50. By the way, I haven’t mentioned it but you can click on any of these images and get a larger image to view. Lastly, I neglected to mention it, and I wouldn’t have even noticed it if it hadn’t been for the dotted line across the road. 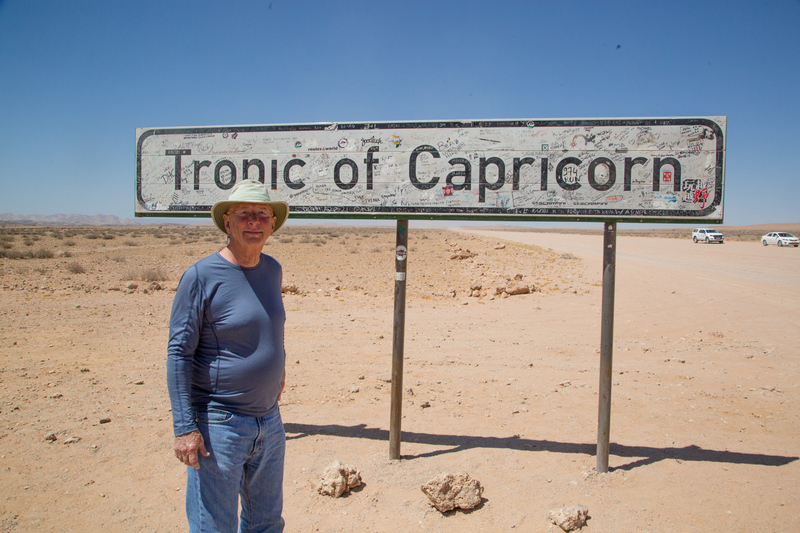 I crossed the Tropic of Capricorn driving here yesterday. Tomorrow I head to Quiver Tree Forest. More to follow.